If you forgot that you need a passport for your upcoming trip, there are still ways you can make it happen. Your Spring Break vacation is right around the corner…do you have your passport ready? Is your passport valid for your upcoming study abroad trip? Too many students neglect to think of these items or fail to realize they need their passport before the trip is just a couple of weeks away. And, though visions of your amazing getaway slipping through your fingertips have started, there are still ways to obtain your passport and, hopefully, continue on with your travel plans. 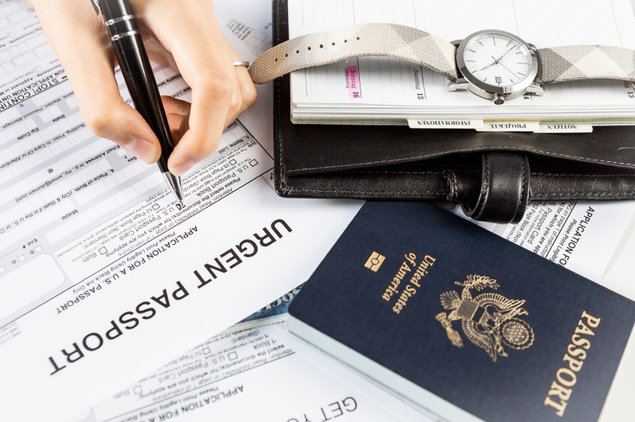 Some travelers decide to turn to passport-expediting companies, who charge outrageous prices and aren’t guaranteed to follow through – often times their claims are nothing but that - claims. The only way to ensure a government document is valid is through, well, the government. U.S. Department of State Bureau of Consular Affairs – U.S. Passports & International Travel offers a handy page which details how to get a passport in a hurry. Sure, it starts with a little bit of scolding – you should always plan far in advance before traveling, be prepared with proper documentation so you don’t find yourself in this position and so on. But, guess what government agency? I wouldn’t be on that page if I had done so and hindsight is 20/20. The good news, however, is that after the scolding paragraph commences, they offer useful information on how you can get your passport – stat. The easiest, most reliable and efficient way of getting a passport ASAP is through a Regional Passport Agency. You will need to travel there, in person, pay a fee (which will be much cheaper, not to mention, guaranteed to deliver compared to independent passport-expediting companies) from for an expedited passport and some of the agencies require proof of international travel within two weeks. It’s best to call ahead for an appointment, but some have walk-in hours as well. At this point, just call so you know you can see someone – especially if you’re traveling locally to get there. If you’re not within possible travel distance of a Regional Passport Agency, you still have options. Contact the National Passport Information Center to discuss your situation and possible ways to resolve your issue. Remember, using politeness to articulate your situation – rather than freaking out at the agent will always benefit you in the long run! After all, it isn’t the passport agency’s fault that you did not apply for your passport in time for your trip. It is, however, within their power to resolve your issue.